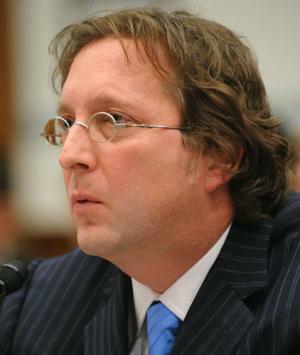 Phil Falcone's hedge fund Harbinger Capital Partners has been on a buying spree as of late. Per an amended 13D with the SEC, Harbinger's various entities combined now own 55.9% of Spectrum Brands (SPB) with 28,988,997 shares. While the Harbinger Capital Partners Master Fund only owns 180,189 shares, the overwhelming majority of the position is owned by Falcone's Harbinger Group (HGI). Overall, Harbinger's entities have scooped up 768,850 shares since January 20th. This most recent disclosure was made due to trading activity on February 8th. The majority of Harbinger's recent purchases have come at a price of around $29.50 per share. So while this offers investors a somewhat rare chance to buy at prices right alongside a hedge fund, just know that they've built their stake up over time and these most recent shares are just a drip in the their bucket full of shares. We originally detailed Harbinger's original acquisition of SPB shares back in August 2009 when the company emerged from reorganization relief under Chapter 11. The hedge fund manager also explained Harbinger's Spectrum Brands thesis at a hedge fund best ideas conference back in September of last year. Per Google Finance, SPB is "a consumer products company. The Company manufactures and markets alkaline, zinc carbon and hearing aid batteries, herbicides, insecticides and repellants and specialty pet supplies. Its consumer products have positions in seven product categories: consumer batteries; pet supplies; home and garden control products; electric shaving and grooming products; small appliances; electric personal care products, and portable lighting." While Harbinger certainly owns a huge stake in Spectrum, keep in mind that this hedge fund has made a much bigger bet on a 4G wireless venture: LightSquared.